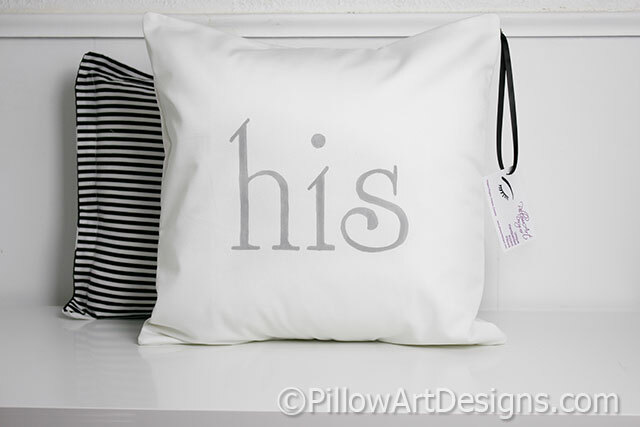 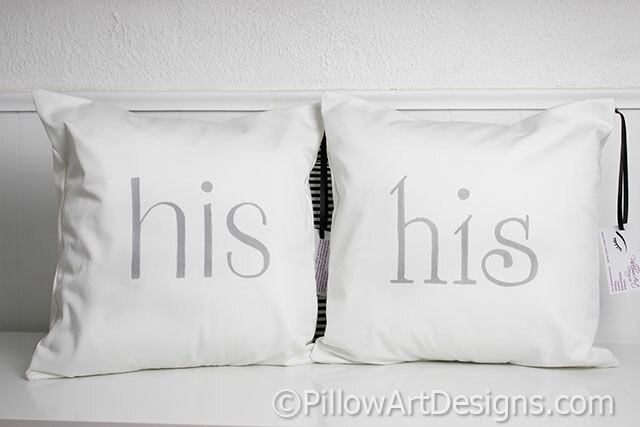 His and His partners pillow set in grey on white cotton twill. 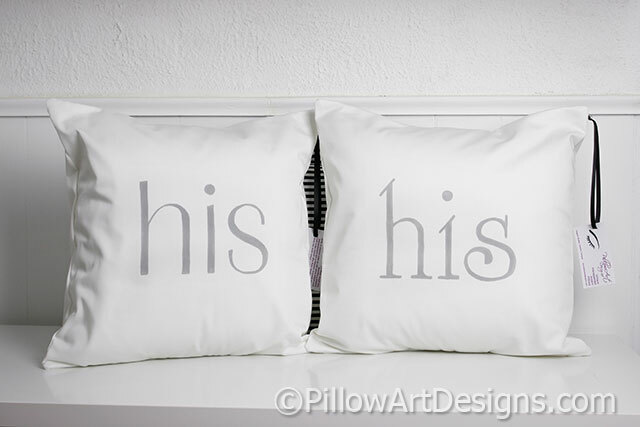 Made to fit 16 X 16 inch inserts (not included). 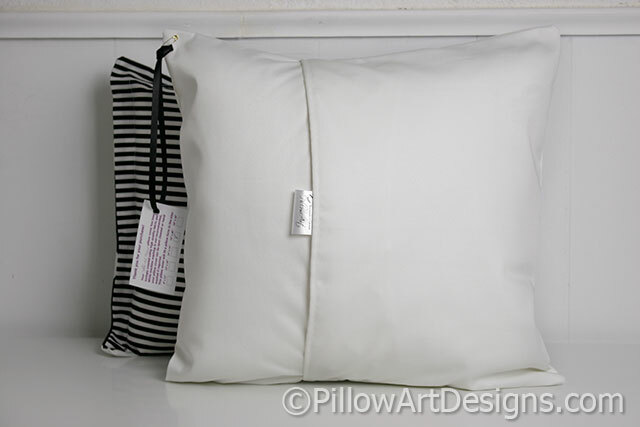 Outer fabric is white cotton twill, fully lined with white cotton polyester, giving them a nice fit and finish.